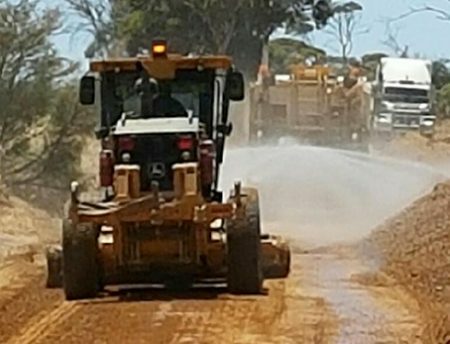 Leeuwin Civil was engaged to provide road repair works to 11 flood damaged roads within the Shire. 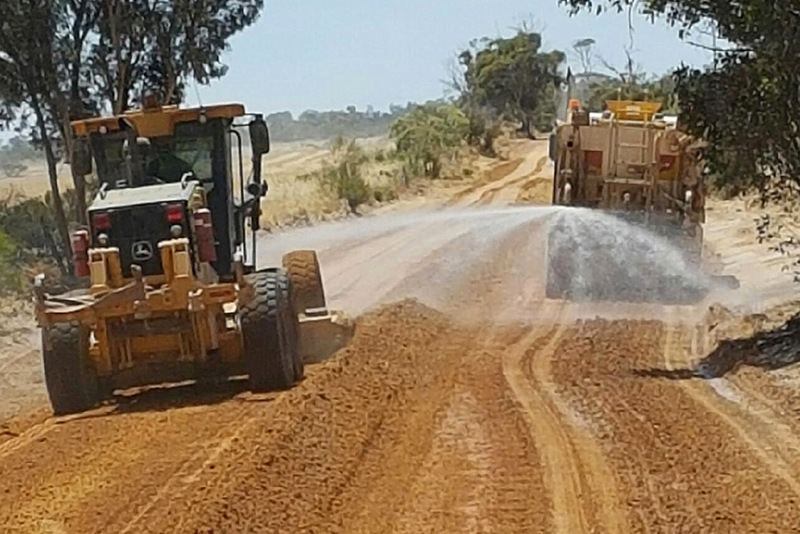 This included drainage repair works and gravel sheeting for approximately 18km of roads with 200mm thick gravel basecourse. The works included sourcing of local gravel (sourced from local farmers) pushed up with dozers, followed by loading and carting of gravel to the roads, and subsequent rehabilitation of gravel pits. 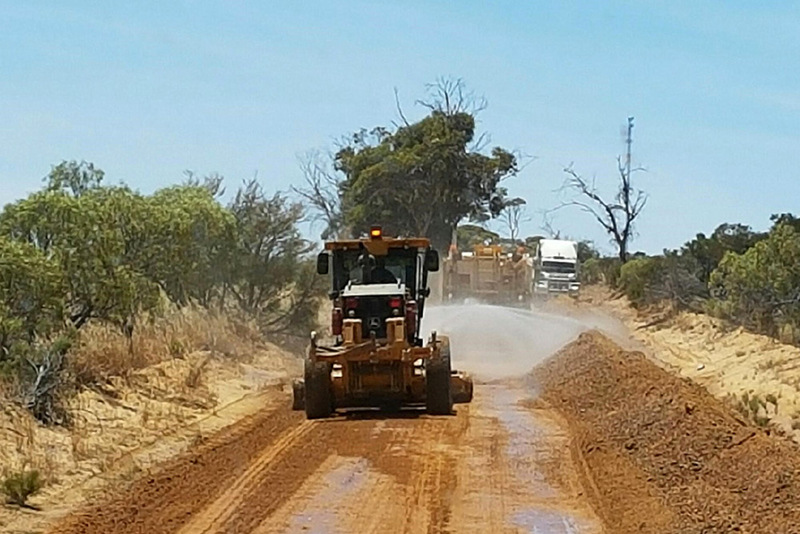 The roads were reformed to original profile, gravel re-sheeting, spread and compacted with water to 95 per cent MMDD (Maximum Modified Dried Density). 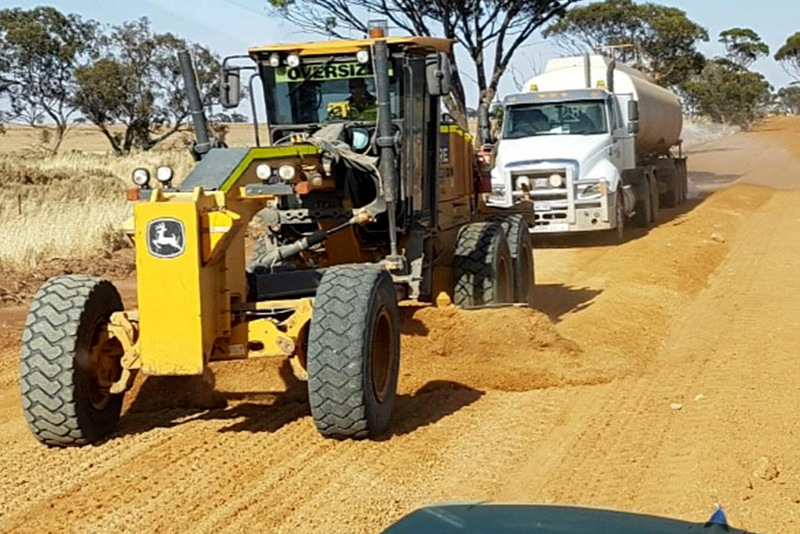 Leeuwin Civil also supplied accredited traffic management services to ensure safe passage for motorist and other road users during works.